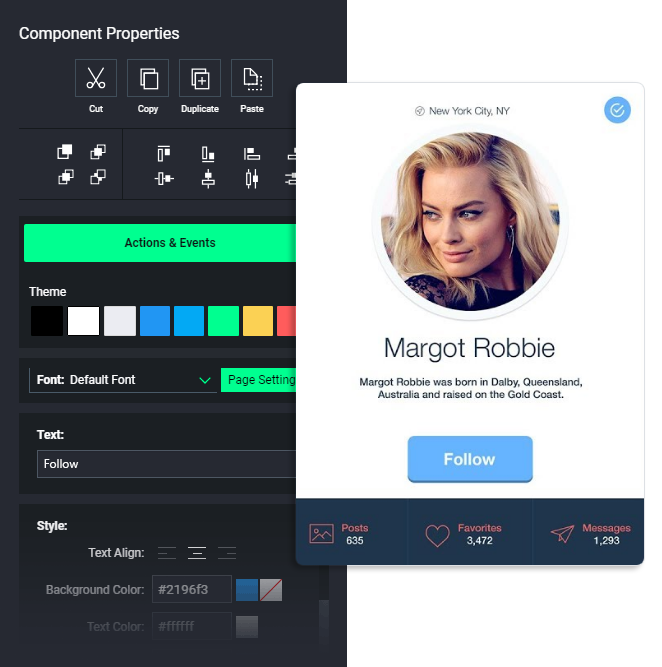 Easily create clickable, fully interactive prototypes with real HTML components, no coding needed. Collaborate with your team and share your work effortlessly with clients. 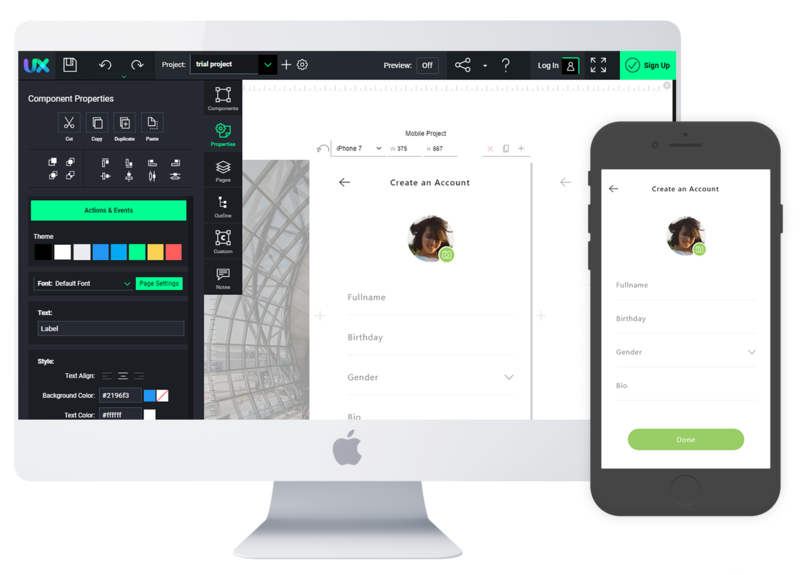 Invite team members to comment on your designs, use team chat, share links & chat. 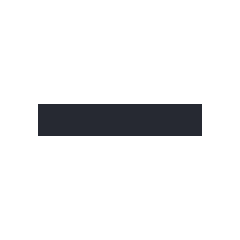 Share a link to your prototypes & get feedback with clients or stake holders directly. No credit card, email or sign-up required. Speed up your software prototypes. 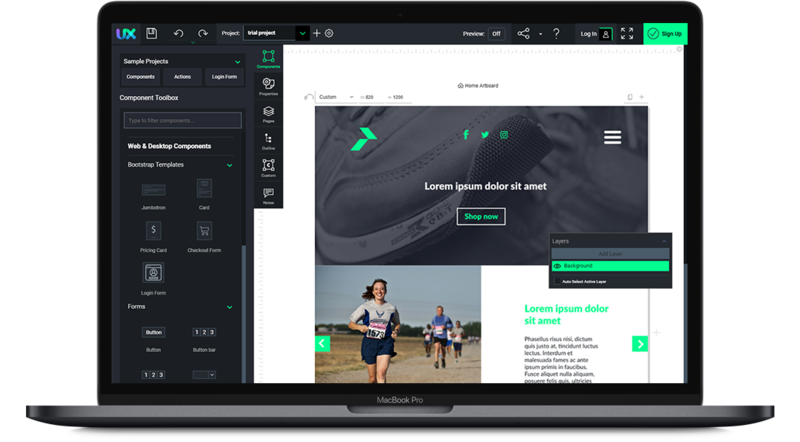 Wire up working prototypes for desktop applications, mobile apps and websites with our visual actions designer. Check out our tutorials to see how incredibly easy it it to create rapid prototypes. Create working mockups and preview them on your device with full support for touch gestures such as tap, swipe, log tap etc. 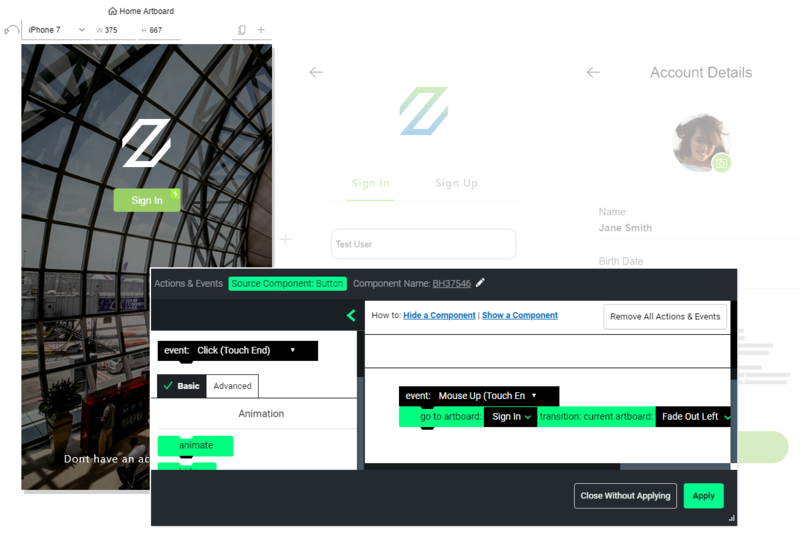 Use Actions & Events to create complex UX interactions, animations, transitions between artboards and many other comlpex interactions, without writing a single line of code! 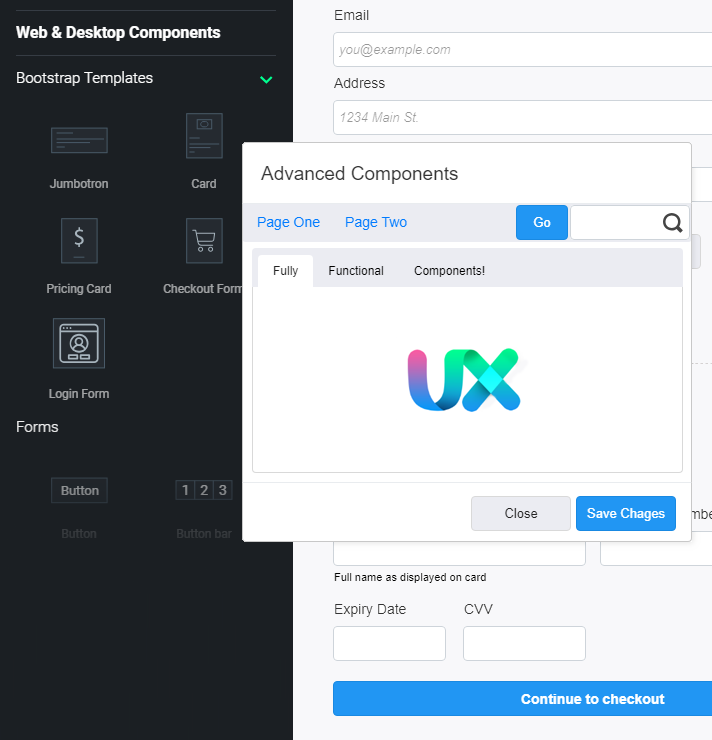 Nest and combine 100+ components, compose custom auto updating components with 1 click. 1500+ icons, 20 unique mobile components & fully functional mobile layout engines. Join over 50,000 other product planners.